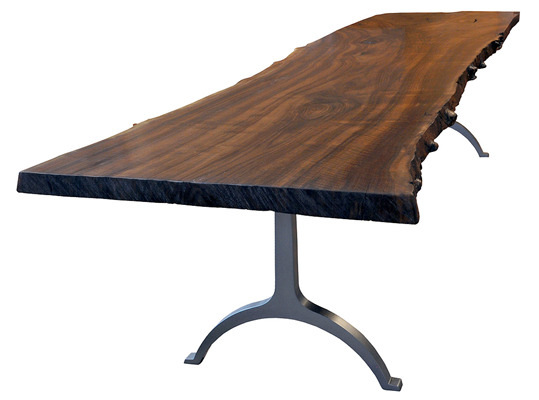 This piece is made from a slab of Claro walnut measuring about ten feet long, and a Shaker-inspired trestle base of 1 1/2 inch thick polished steel fabricated by Sam in the metal shop. If you're interested in a table like this, I can source a slab for you; the price almost entirely depends on the slab itself. You can also check out the process behind the table on my blog. the price below is approximate, depending on the cost of the slab selected. +/- 36 x 120 x29.5"